This second edition has few minor alterations and amendments, the larger format has enabled the Author to provide better drawings and maps. The first systematic compilation of information on Teesdale's mining sites, completes a series on mining in the Alston Block. It summarises the minerals worked, the geology, the activities of the London Lead Company and the conditions in which the miners lived and worked. 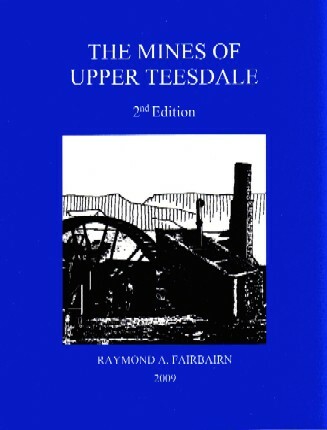 Later chapters describe mining sites and remains in three geographical areas separated by the pre-1974 boundaries of Yorkshire, Westmorland and Durham. The final chapter briefly describes the main smelting sites. The author has checked the location of every site in the field and, wherever possible, has worked from primary documentary sources. The lead industry demised in the late 1800s, but barytes and fluorspar were extracted in Teesdale for much of the 20th century. A reduced demand for them and cheaper foreign imports eventually forced the closure of the last operations in the 1970s.